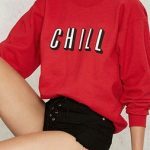 No matter what roles casual women sweatshirts play, there is always some place for them in people’s wardrobe. They have this kind of street and fashionable style naturally since the day they were made, so they are loved and welcomed for years, especially in recent years. 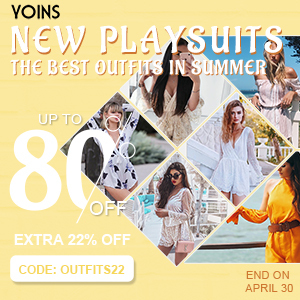 After all, no one can resist their charm as a chic and versatile fashion product. Even though they have so many advantages, it is not as easy as you think to match them with other items in a right way. 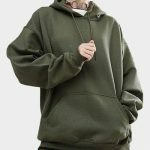 Therefore, I will introduce you how to style hooded sweatshirts properly. Women trench coat coupled with hooded sweatshirt are very popular these days. 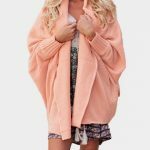 To be specific, camel coats for women and white hooded sweatshirts are perfect pairs, whose colors and styles match very well. If you have no idea what to go with your sweatshirts, then this type of look is highly recommended. 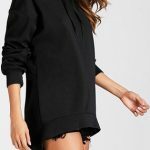 If you want to play cool and unisex style, hooded sweatshirt and leather jacket are somethings you may like. All black is still a good choice, but other colors are optional as well if you want something new and surprising. Light or cold colors are suggested when choosing sweatshirts to go with leather jackets, but remember to wear something bright or shinning to highlight your whole outlook. Besides, denim jacket is good item to style with sweatshirt. Since denim jackets are also must haves, you’d better pick something special to go with them if you do not want an outfit clash. Also, there are bomber jackets and blazers which are wonderful products to match with sweatshirt, and you will get surprising results.